I like to call these "instant friend makers"
and I think that speaks for itself. At first people will think these are Reese's, but then they take a bite. They smile, and then they melt with happiness. The almond and coconut flavors pair perfectly. And why not make it better by encasing the two in smooth, milky chocolate? That's sort of my solution to everything--cover it in chocolate! These are divine, even a bit sophisticated, but oh so simple. *I used Guylian brand, pictured here. Vegan milk chocolate is available at many food stores/online, it just might not be sugar free. 1. Melt the chocolate and line this mold or muffin liners with the chocolate, creating a base and walls. Refrigerate for 40 minutes to an hour, whenever chocolate is completely hardened. 3. 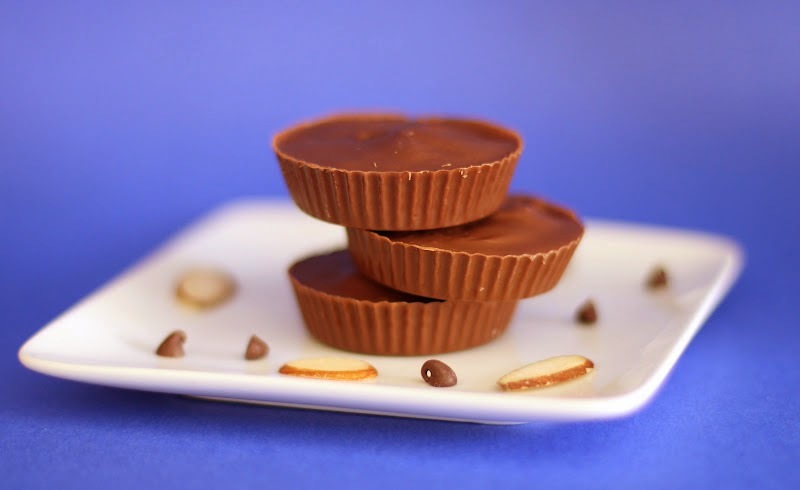 When completely hardened, pop the candy cups onto a serving plate and serve. Just 2 ingredients! That's crazy!! I love it when I melt with happiness. It leaves a bit of a mess to clean up, but I'm too busy being all melty. These look awesome! Okay, so... 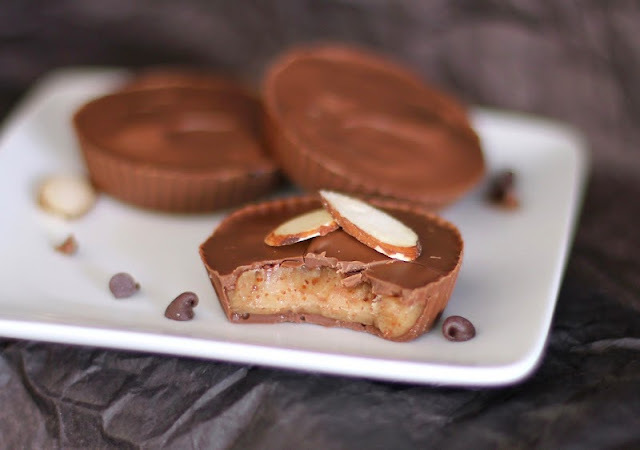 I love Reese's PB cups, but these look WAY better! 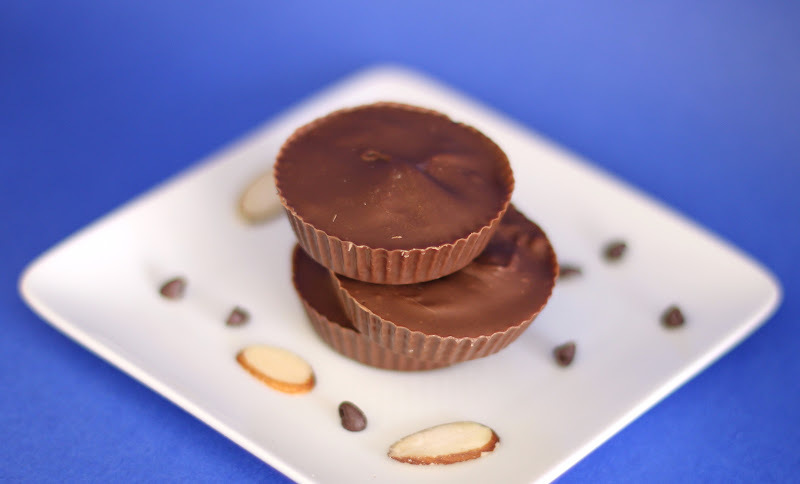 You seriously can't go wrong with anything that involves coconut and almonds! Mmm. these look SO awesome. 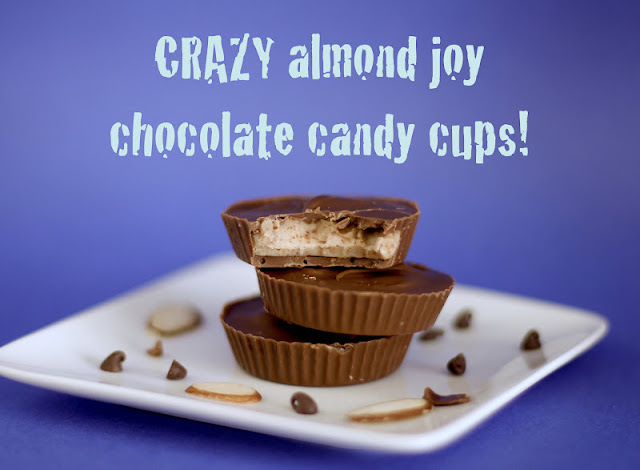 i love reese's, but i love almond joys even more.. these are perfect! LOL at "instant friend makers". 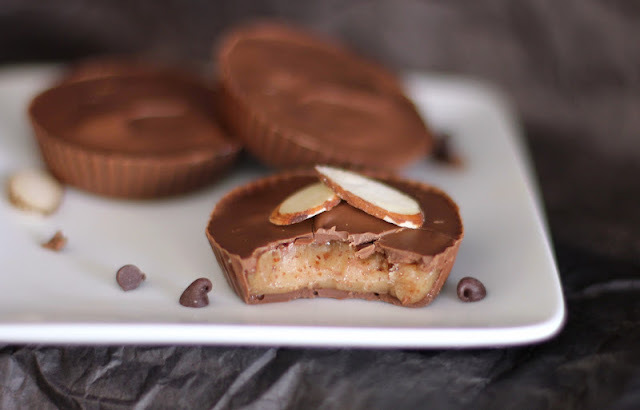 My husbadn loves almond joy and I love reese cups. I'll have to try these!